Many of the above causes of injury may be completely accidental; nevertheless, accident victims must seek compensation for the damages that the reckless action of another inflicts. 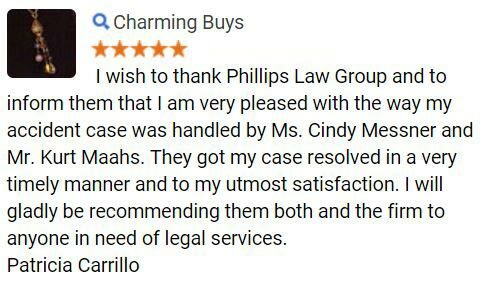 Phillips Law Group believes that these negligent individuals must be held liable for the medical bills, lost wages, pain and suffering, and any other additional costs that come as a result of the injury. To speak with our car accident attorneys, complete a Free Case Review on this page. The most commonly seen cause of neck and shoulder pain involves injury to the soft tissues. Due to the structure of the neck and back, the human body has bones, tissues, and muscles that run from the neck all the way down to the tailbone. While this structure is what helps the human body to function properly, it also makes it susceptible for injury. Back and neck injuries are typically broken into two classifications: acute injuries and overuse injuries. Acute injuries to the neck and back often involve a sudden action which strains, pulls, tears, rips, or damages a portion of the bone, muscle, or tissue in the impaired area. Acute injuries are often marked by an immediate bruising and swelling; however, the severity will alter based upon the particular type of injury and the strength of the impact which caused the harm. Sprains and strains are amongst the most common types of acute and/or sudden neck and back damage. A strain is typically caused by some kind of pulling or twisting of the neck or back, forcing the muscle or tendon stress and pressure. In addition to strains, sprains are another very common acute injury. Generally speaking, sprains involve the tearing or stretching of a ligament. When a doctor give the accident victim a treatment plan, it is essential that this is followed. Following this treatment plan will not only help the injury to heal faster, but it will likely help to prevent any future damage from occurring. Back and neck injuries are rarely life threatening, yet they tend to impact a large portion of the injured partys ability to perform daily activities. 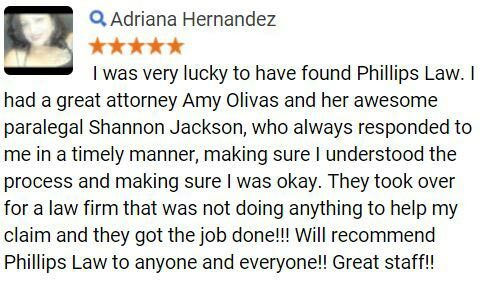 Phillips Law Group understands the stress and pain that back and neck injuries cause and we believe that the person who caused such damage must be held responsible. With this in mind, we fight for the maximum compensation possible to cover any medical bills, lost wages, pain and suffering, and any other costs associated with the injury. 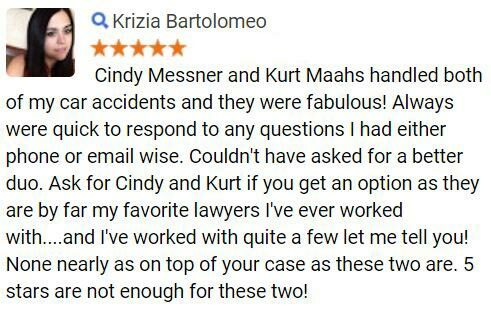 If you or a loved one has suffered from an accident, do not hesitate to contact our car accident lawyers at your earliest convenience. We will sit down with you, understand your case, and then work our hardest to fight for what you deserve. 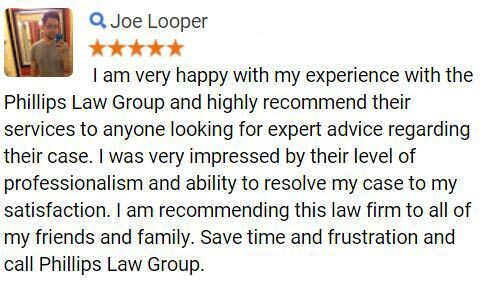 Complete a Free Case Review now.